We are committed to offering travel services of the highest quality, combining our energy and enthusiasm, with our years of experience. Our greatest satisfaction comes in serving large numbers of satisfied clients who have experienced the joys and inspiration of Gorilla trekking in Uganda, Rwanda and Congo with a blend of unique cultural experiences and wildlife encounters. Ever since the company was established in 2014, Gorilla Holidays Uganda Ltd has concentrated its efforts in producing quality safari tours, responding to the needs of the times while anticipating the demands of the future. You will discover that Gorilla Holidays Uganda Ltd is quite diverse. We use our diversity in and out of the safari industry to address various global concerns. By planning and organizing safaris and tours, we address current issues such as the environment and international relations. We narrow the gap of misunderstanding between people by promoting international business and cultural exchanges and by serving as a major source of information about East Africa. 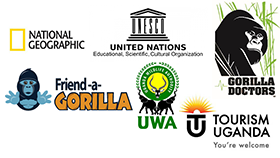 Continually providing a vast array of innovative ideas and quality services, GHU commits itself as a leader in promoting the conservation of endangered species, enrichment of mankind and the globalization of the world as we embark on the journey into the home of Gorillas and Wildlife parks.